Award will be presented at NABJ's Hall of Fame Gala, Jan. 17 at the Newseum in Washington, D.C.
WASHINGTON (October 12, 2012) -- The National Association of Black Journalists (NABJ) announced today that Richard Prince, columnist for the Maynard Institute for Journalism Education, will receive the prestigious Ida B. Wells Award. The annual honor is given to an individual who has made outstanding efforts to make newsrooms and news coverage more accurately reflect the diversity of the communities they serve. Prince will be honored on January 17, 2013, at NABJ’s Hall of Fame Induction Ceremony at the Newseum in Washington, D. C.
He is being recognized for his efforts championing diversity in journalism. For 10 years online, he has authored the popular "Journal-isms" column, which covers issues of diversity within the news industry. Previous recipients include Steve Capus of NBC News, Reggie Stuart of Knight Ridder Paula Madison of NBCUniversal and Walterene Swanston of NPR. The Ida B. Wells Award is named in honor of the distinguished journalist, fearless reporter and wife of one of America's earliest black publishers. Medill, Northwestern University co-curates the Ida B. Wells award with NABJ. "It is extremely important that we keep the legacy of Ida B. Wells alive in journalism," said juror Ava Thompson Greenwell, associate professor at Medill. "Now, more than ever news organizations need to model the ideals of Wells, who worked tirelessly to expose racial biases." Prince recently told the story of "Journal-isms" origins to MediaBistro, saying it "began in the early 1990s as a print column for the National Association of Black Journalists (NABJ) newspaper, which is now a magazine, called the NABJ Journal. I was co-editor of that, and we had a column that we created to sort of be a repository for all the stuff that couldn't be a complete story. We called it "Journal-isms" after the name of the publication." His devotion to equity and justice was likely inspired in part by his own career in journalism. In 1972, Prince and six other African-American journalists, then working at The Washington Post, filed a grievance with U.S. Equal Employment Opportunity Commission (EEOC). The group, which came to be known as the Metro Seven, alleged that the paper failed to provide black journalists with equal opportunity in assignments and promotion. Prince later served as assistant metro editor, assistant news editor, editorial writer and columnist, and finally as op-ed editor at the Rochester Democrat and Chronicle. He would later return to The Post as a part-time copy editor. 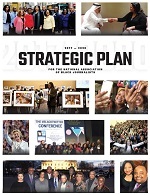 He also has distinguished himself in service to the industry as the former chair of NABJ's Media Monitoring Committee, and as Diversity Chair for the Association of Opinion Journalists, formerly the National Conference of Editorial Writers. Prince will accept his honor, along with NABJ’s 2013 Hall of Fame honorees: Betty Winston Bayé, longtime columnist, The Courier-Journal (Louisville, Ky.); Simeon Booker, the first black reporter at The Washington Post and Washington bureau chief, Jet magazine Alice Dunnigan, the first black woman credentialed to cover the White House, the State Department and Congress (posthumous); Sue Simmons, longtime anchor WNBC-TV; Wendell Smith, legendary sportswriter, who helped desegregate baseball (posthumous); and Cynthia Tucker, Pulitzer Prize-winning columnist, The Atlanta Journal-Constitution. 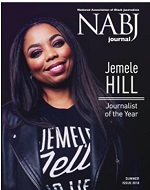 An advocacy group established in 1975 in Washington, D.C., NABJ is the largest organization of journalists of color in the nation and provides educational, career development and support to black journalists worldwide.